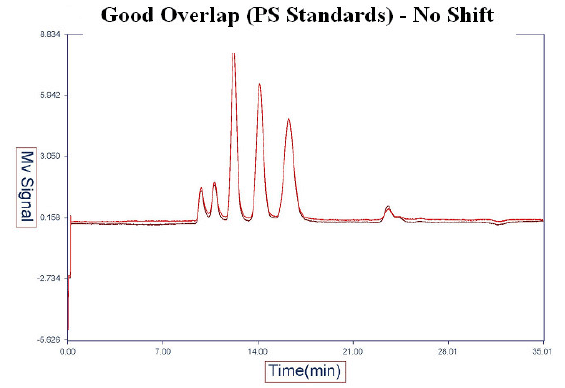 Absolute molecular weight of your polyolefin!High Temperature Triple Detection Gel Permeation Chromatography (GPC-HT) allows for absolute molecular weight determination of polyolefins (polyethylene, polypropylene, etc.). Analysis of Ultra-High Weight (UHP) polymers is achievable. In GPC-HT, polymers are separated by size on a GPC column. 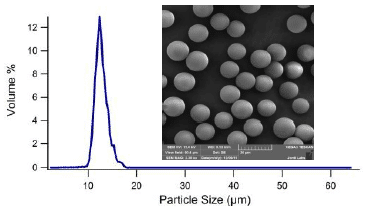 This is followed by light-scattering (LS) detection for absolute molecular weight determination and viscometry detection for determination of intrinsic viscometry, polymer shape and radius of hydration (Rh). The use of an LS detector renders calibration standards unnecessary as the measurement is based on the way the sample scatters light and not the retention time at which the molecule elutes as compared to standards.With standardized High Temperature GPC (GPC-H), linear polystyrene calibration standards are typically used. 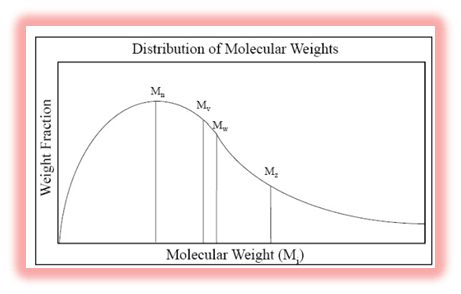 While GPC-H allows for comparisons of samples in terms of their molecular weights, the hydrodynamic volume of the standards must be the same as that of the samples or the molecular weight obtained is a relative and not an absolute molecular weight. Additionally, with GPC-H, if a polyolefin is branched its molecular size will be reduced compared with a linear analog and therefore its molecular weight value will be underestimated. 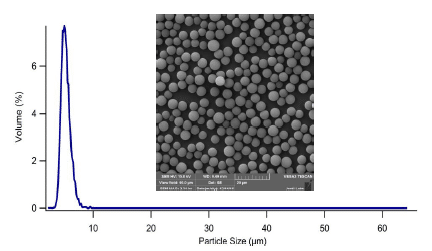 GPC-HT does not have these limitations – the molecular weight distribution of the polymer of interest is directly measured with the light scattering detectors and is therefore an absolute measure of molecular weight. Branching can be examined through comparison of the calculated molecular weight and the viscosity signal.As with GPC-H, in GPC-HT, the polymer of interest is fully dissolved in a solvent with subsequent size-based chromatographic separation on a GPC column. Mn, Mw, Mz, PDI, intrinsic viscosity (IV) and radius of hydration (Rh) are calculated. 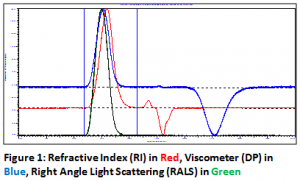 The three detectors in GPC-T are Refractive Index (RI), Intrinsic Viscosity (IV), and light scattering (Low Angle Light Scattering (LALS) and Right Angle Light Scattering (RALS)). Using the Mark–Houwink equation and IV data, branching characteristics of a polymer can be obtained. Trust your GPC-HT analysis to the industry's most dependable and experienced GPC-HT laboratory!